Dubai – International Data Corporation (IDC) today launched the latest edition of IDC's DX Insights, a three-part magazine supplement aimed at making sense of the wave of digital transformation (DX) that is currently sweeping across the Middle East. Focusing on the theme 'Next-Gen Security – Defending the Digital World Against the Threats of Tomorrow', Issue 3 of the supplement was developed in collaboration with Dell EMC and accompanies this month's issue of Gulf Business magazine. It is also available to view now at www.idcdxinsights.com. 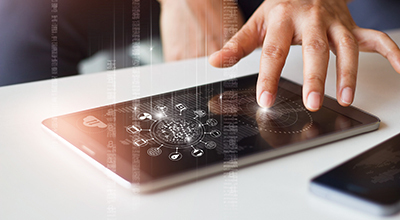 "As organizations across the Middle East embark on their digital transformation journeys, they will inevitably have to start dealing with a multitude of devices, services, and solutions," says Jyoti Lalchandani, IDC's group vice president and managing director for the Middle East, Turkey, and Africa (META). "This new reality creates considerable challenges around security, as the exponential growth in data and endpoints inevitably ramps up the pressure on IT and business decision makers to ensure the privacy and protection of the data being gathered. However, there is a conflict in perceptions, with many business decision makers feeling they treat security as a priority, while many IT decision makers feel that their business-focused colleagues do not address security effectively enough." The latest edition of IDC’s DX Insights aims to alleviate this conflict by stressing the need for decision makers from all sides to work together on improving security awareness levels across the entire breadth and depth of their organizations. There is expert advice on combating the spread of ransomware and building new levels of trust in the digital world, while Dell EMC's vice president for the META region, Mohammed Amin, discusses strategies for securing DX-empowered enterprises in the face of an increasingly complex threat landscape. Elsewhere in the magazine, Stewart Bond, global lead for IDC’s worldwide data integration and integrity software research program, explores the disruptive powers of blockchain technology; Megha Kumar, IDC's research director for software and cloud in META, outlines the lessons that can be transferred from the home to improve workplace security; and Pete Lindstrom IDC's global vice president for next-gen security research, examines the use of economics-based metrics to strengthen risk management in the modern enterprise. There is an in-depth case study that walks through du's implementation of RSA Archer Suite and explores the subsequent improvements in the company’s governance, risk, and compliance posture. Compliance initiatives are also the focus of another feature that offers advice from Dell EMC's infrastructure solutions manager for META, Shams Hasan, on how organizations can prepare themselves for the impending introduction of the EU's General Data Protection Regulation, which comes into effect on May 25 next year and will have far-reaching implications for many businesses across the Middle East. IDC's Jyoti Lalchandani will elaborate further on some of the key themes discussed in this edition of IDC's DX Insights when he speaks at the upcoming RSA Conference 2017, which is being held at Abu Dhabi's Emirates Palace hotel on November 7-8. IDC representatives will be present throughout the two-day event, with respected security experts on hand to discuss the very latest digital transformation trends. To access your complimentary copy of IDC's DX Insights, please visit www.idcdxinsights.com. You can join the conversation on LinkedIn and Twitter by using the hashtag #IDCDX.